How many DVD and DivX movies, MP3 and Audio CDs have you got? Stop wasting time looking for files on CDs and DVDs! No need to insert the discs one by one to locate a single file. 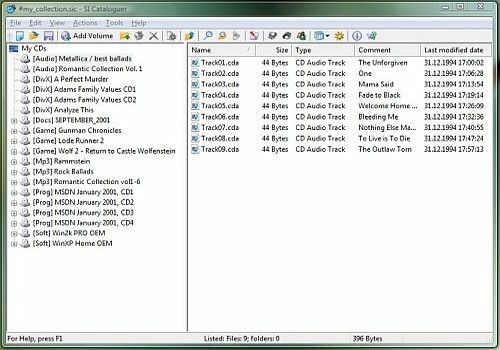 SI Cataloguer will automatically index your discs with files, music and movies and remember their content for instant search. Catalog your entire CD and DVD collection and organize your files, music and movies now!